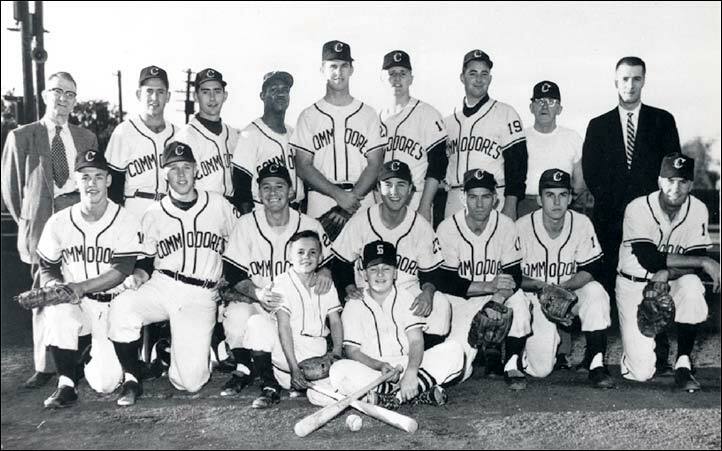 Back row (left to right) - Steve Leakos (Sponsor), Norm Popkin LHP, Jim Garrett C, Eloyd Robinson, Lee Murphy 3B/1B, Lew Hobson LHP, Len Breckner 1B/OF, Bobby Reid (Trainer), Spero Leakos (Sponsor). Obviously, the photo was taken during the playoffs as Bill Lynn is shown with the team (Saskatoon received permission to acquire Lynn after losing Pete Estrada to an injury and a return to the US to resume his teaching career). Also missing from the photo are Ron Boone (who also had to return to a teaching assignment) and Paul Springer who left for university studies. It is not known why Jeff Williams was not in the team picture.